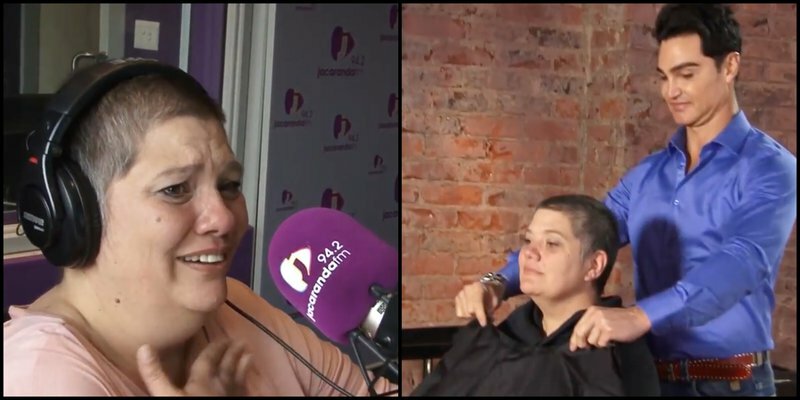 Lizelle's has been fighting cancer for the past five years - Glam Guru, Hannon Bothma gave her a makeover just in time for her daughters matric farewell. Watch the video! Lizelle Venter and Glam Guru, Hannon Bothma / Jacaranda FM. After hundreds of entries, Martin Bester finally announced the winner of his Big Spring Clean makeover with Glam Guru, Hannon Bothma - and her story will warm your heart! When the Top 3 finalist joined Martin in studio, we weren't sure who would be walking away with the makeover from the Glam Guru. Bronwyn, Ebenezer and Lizelle - all three deserving of the makeover - shared their stories on air and our SMS and Whatsapp lines were flooded with messages from our listeners as to who they think should win. Lizelle Visser - a mom who has been fighting cancer for the last five years and who wanted her daughter, Mikaela, to be proud of her in her matric farewell pictures. What do you think of Lizelle's makeover? Comment below.